I have been working at Copthorne Primary School for over 10 years now and enjoy working with the friendly pupils and great staff. I have worked in Year Four for 8 years and currently working in Year Six. I have seen children develop, make fantastic progress and become confident within themselves. I look forward to coming to school every day and love the fact that every day is different and nearly every day is fun! 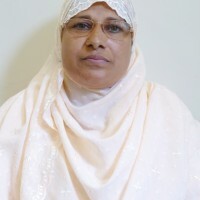 My name is Ayesha Akram. I have been part of the Copthorne family since 2010 and I am proud of working with a dedicated and supportive team. I work in reception as a Teaching Assistant and an SEND 1:1 support for children with varying needs. I enjoy coming to work to teach the children and ensure they get the best start in life by giving my best so they can fulfil their potential. GO Copthorne! On a daily basis I support the children with their work and activities, I encourage them to do their best and try to set a good example for their behaviour. Copthorne Primary School is a fantastic place to work, as an outstanding primary school you can see the effort put in by every member of staff to provide the best environment for the children to achieve their potential. 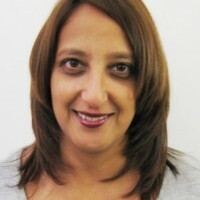 I started my career with Copthorne in 1999 as a voluntary worker with the children in nursery for 6 months. I was then successful in gaining a role as a special needs support assistant. I stayed in that role for 12 months before taking the post of teaching assistant which I have been doing since 2001. I thoroughly enjoy this. I have worked with children from reception, all the way through to year 3. I have 12 months experience as a cover supervisor which I completed in 2011 to cover maternity leave. I have excellent people skills and I love working with children. I feel I have accomplished my goal when the children perform. I am extremely motivated by the progress I see made by children I look after. I have experience of managing a variety of clubs, for example, breakfast club and after school school clubs. Copthorne is extremely multi cultural and I am proud to be a part of the team. I feel extremely proud to work at Copthorne Primary and thoroughly enjoy it. I believe it is a superb school, with excellent leadership and teaching staff. The classrooms are lovely learning environments for the pupils. The children are a joy to work with. I love working at Copthorne and feel that as an individual I have gained much knowledge and confidence whilst being here. I love coming to work and wish to be a part of the Copthorne team for many years to come. 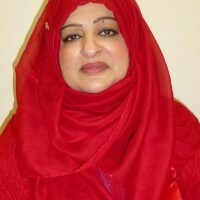 My name is Nasarah Hussain and I have been working as support staff for many years at Copthorne Primary. Over the years I have worked with hardworking members of staff and management. To see children blossom from foundation stage to year six is an amazing feeling and a proud moment for all. The school has a great relationship with parents and in the past visitors have commented on the school as a happy and friendly environment, and I am proud to be a member of it! My job as a teaching assistant is so rewarding and I love to see the children develop and progress in their learning and socially too. At Copthorne the staff and children are always welcoming, friendly and polite and the children are eager to learn. This is reflected through the caring and nurturing environment provided by all the staff. Within my role, I assist, encourage and motivate the children in my class with their day to day learning by challenging and questioning them to ensure they understand and make progress. I also take intervention groups in reading, English and maths for those children who need extra support. I started at Copthorne in 2012 and have found every day to be exciting and wonderfully challenging for the staff and children. The children come to school with a positive attitude and eagerness to learn. As part of the SEN team I work with individual children who just need that extra boost to reach their full potential. The staff here are all dedicated and committed to helping each and every child reach their full potential and show them that there are NO limits to learning, which is our school ethos statement. I am proud to be part of the amazing Copthorne team. 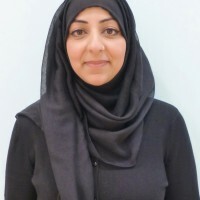 My name is Saahirah Iqbal, and currently I am working in reception as part of the EYFS team. I work as a Teaching Assistant and as an SEND support assistant for children with additional needs. I thoroughly enjoy my job, and love being a member of Copthorne Primary School. We all want the best for each and every child that comes through our school, and I believe that every member of staff strives to be their best for the children. I have only been working here for five years however it feels as though I have been a part of the Copthorne family much longer than this. I am a proud member of the team and enjoy working alongside dedicated members of staff and hardworking students. At Copthorne, no day is the same! We all work extremely hard and strive for excellence. Working at Copthorne Primary has been an amazing journey so far and can only get better. Here, we are one big team that works hard around the clock. The children are our priority and come first in everything we do. I love my job and look forward to every day! We are proud to be part of an outstanding team. Here at Copthorne Primary we are enthusiastic, caring, friendly, supportive and always try our best. We also accept the challenges that come our way. I have been working at Copthorne Primary School since 2015. I have worked in year 1, 2 and 3 and I am currently working in Saplings. I love my job and look forward to coming to work every day. The children strive to do their best and are always eager to learn, they are a pleasure to teach. I feel privileged to work with a dedicated team with excellent leadership and I am proud to be a part of this outstanding team. My role in school is one of the SEN Teaching Assistant and I always feel valued. I thoroughly enjoy my job and I feel that as an individual I have gained much knowledge and confidence whilst being here. I feel extremely proud to work at Copthorne Primary. It has a lovely learning environment for the pupils and the children are a joy to work with. I love coming to work every day and I wish to continue until I retire. My name is Sohail Hussain and I love every minute of being in the Copthorne team. During my time at Copthorne I have developed my understanding of the primary education sector and have also evolved to become a better teaching assistant. I have worked alongside many inspiring and influential teachers, teaching assistants and other staff. At Copthorne we believe that ‘Teamwork Makes The Dreamwork’ therefore as a team we are always helping one another as well as learning from, supporting and encouraging each other to make sure we are all performing to the best of our abilities. Since joining Copthorne Primary school in 2008, I have enjoyed every moment and I am proud to be part of a fantastic team who strive to give our children the best education and opportunities in life. I feel my role as Learning Mentor puts me in a unique position, as it allows me to work with children from year 1 right up until they leave us in year 6. With the flexibility in my role I am able to support our children’s progress and attainment through one to one mentoring and through the school’s extended provision which I organise and aims to offer our pupils a wide range of activities before and after school. Alongside my role as Learning Mentor, I also work with our local partner Exceed Extended Services to ensure our pupils are involved in sports competitions, local initiatives and projects, which I feel provides them with life skills and opportunities they wouldn’t normally experience. I am also a staff governor at Copthorne with two of my own children attending our school. I dedicate a lot of my time and effort to my role because the reward of seeing our children progress and grow in confidence is second to none. 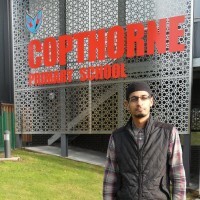 I joined Copthorne Primary School as a new learning mentor in the year 2000. My background is in youth and community work and I have been working with young people since 1989. I have been at Copthorne Primary for over 18 years now and enjoy working with the great staff and friendly pupils. My youngest child attends the school. He loves coming to school to learn. As a Learning Mentor I am personally committed in supporting and helping all the pupils in my care and throughout the school. Every day is a busy one and each day is different as I am involved in lots of activities such as: running and managing my clubs; liaising with teachers, staff and parents; supervising pupils during play/lunchtimes; managing school projects and reward systems; listening to pupils read; helping with school events, trips, visits, and residentials; and lots more! My main role as a learning mentor involves working with children experiencing barriers to learning which could be related to social, emotional, health or personal reasons. I help these pupils by providing them with my time and support until they build their confidence and are able to continue with their goals and targets. I find it very rewarding when pupils learn to deal with their feelings in a positive way. Overall I enjoy working at the school and hope to continue to be a positive role model for our pupils. At Copthorne, we have high standards of teaching and learning at all times. We work together as a team to provide the best educational, emotional and physical support to all our children. Respect, care, co-operation and hard work is our moto. I am proud to say that I have been a member of the Copthorne team for over 12 years as a teaching assistant and gradually worked towards my current role as a HLTA. During this time I have had the opportunity to work with outstanding teachers and members of staff, who have always gone above and beyond to ensure children reach their full potential. Being a parent as well as a member of staff, I can see the amazing progress my children make every day at this outstanding school. It makes me smile to know my children are under the care of such great practitioners and this is evident in the enthusiasm they show to go to school every day! I enjoy working with my colleagues as part of a team to share ideas and good practice to ensure all our children reach beyond their full potential. Hello my name is Ifra Yaseen. I have been working at Copthorne Primary school as an apprentice since January 2017 in Saplings as a Nursery assistant. My role is to assist around the room with our supportive and reassuring team to help children learn in numerous ways in order for them to develop their skills and have a better understanding of when they move into nursery. I have now completed my level 2 in childcare and now working towards my level 3. I have worked with children for most of my life and like working with young children the most. For me early years are very important as they set the foundation for later life. For the last six years I have been in Nursery. My degree was in education and it taught me a lot about theories but I have learnt far more here. I enjoy working in school and love the challenges and changes and hope that I will continue to do for a long time! My role as a Nursery Nurse is to work as a team and help deliver all lessons as well as covering classes and delivering interventions. I have worked at Copthorne since I qualified in 1991 and throughout my time, I have loved working here. Copthorne is like a big family consisting of wonderful children, lovely, caring parents and dedicated staff. Throughout my time at Copthorne I have seen many changes, worked with lots of different staff as well as students who I have supported and trained and have always felt like a big family and a valued member of staff. Copthorne is like a family where everyone gets on and helps each other. If you need help their is always someone there to listen to you and support you. I love working as a team and helping the class teacher deliver lessons in smaller groups. I help to give feedback to children and deliver interventions to children throughout the curriculum. I have worked at Copthorne since 1991 and throughout my time I have seen a lot of changes. I enjoy working here and the staff and parents are very friendly. 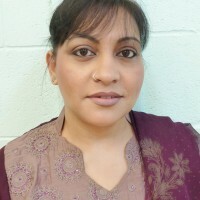 My name is Safina Shafiq and I have been working at Copthorne Primary School for over 12 years. I look forward to coming to work every day and working with such a dedicated team. Copthorne is a huge and important part of my life not only because I work here but also my own children attend this school and love it! I am mainly based in Foundation and Key Stage 1 and work alongside a variety of staff. I plan and run intervention groups for children in Year 1 and cover staff on a daily basis. I am proud to be part of a school which has received an outstanding recognition as well as the Challenge Award. We encourage and support our children to fulfil their potential and go beyond. No limits on learning definitely! 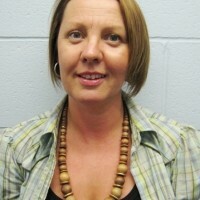 My name is Susan Frazer, I am a nursery nurse and work in reception in foundation stage. I feel we are a very positive, welcoming school and as a team, we all work together very well to make this the wonderful school that it is. I am very happy to have been working at Copthorne for many years, since 2002. I love my job! I have been working at Copthorne Primary School for many years and I have seen many changes taken place. I have worked with children from nursery through to year 2 and I have seen them develop into confident and able children. I am a Nursery Nurse currently working in reception. We are highly motivated and enthusiastic to help each child to reach their potential. With the support of the parents we are able to achieve this. I feel we are a team at Copthorne, we are dedicated and I am proud to be a member of staff, it’s like my second family!!! I came to Copthorne Primary School in January 2018 and I have loved every minute I have spent in the school. The staff and children are so friendly and welcoming. My role is to support the children in their learning, mainly in English and Maths. I run interventions to help develop pupils understand of any concepts they are not confident in. I work alongside the class teachers to build confidence and to make learning fun as well as memorable. I enjoy being with the children and seeing them progress and grow. Hello my name is Ayshia Bibi. I have been working at Copthorne Primary school as an apprentice since September 2018 in Saplings as a Nursery assistant. My role is to assist around the room with our supportive and reassuring team to help children learn in numerous ways in order for them to develop their skills and have a better understanding of when they move into nursery. I am currently working towards my level 2 in child care. I started working at Copthorne in September 2017. My role is a speech & language mentor. I support children across the school, carrying out small group work interventions, 1-1 interventions and support other children in the classroom environment, supporting them with their social and emotional skills, receptive and expressive language and their understanding. I work alongside the classroom staff to encourage children to incorporate these skills in their daily routines. I help staff adapt activities to encourage children to take part, meet the individual child’s needs and to meet their own potential. I also work with the children at break time and lunch time to develop their personal and social skills and provide activities to keep them busy and active. I run a gardening club after school, supporting children with their understanding of how things grow and live and where food comes from. I also take responsibility for first aid, caring for the children’s medical needs and administering first aid. Copthorne is a unique place to work. The children are eager to learn new skills and take part in all the different areas of school life. They have very individual characters and personalities that shine through. Copthorne is an amazing school to work at and I have never met such fabulous children. I love my job and all the wonderful people I get to work with every day. Hello my name is Emelia Farnell. I have been working at Copthorne Primary school as an apprentice since Sep 2017 in Saplings as a Nursery assistant. My role is to assist around the room with our supportive and reassuring team to help children learn in numerous ways in order for them to develop their skills and have a better understanding of when they move into nursery. I already have my level 2 in childcare and now working towards my level 3. I only joined Copthorne in September 2018 but can already feel how welcoming and caring both staff and pupils are. It feels like one big family when I walk through the door and I enjoy coming to work every morning. Colleagues are always there when support is needed and for that I am grateful to work in a school like Copthorne. My job varies from day to day and welcoming new visitors into the school is one of my favourite parts of it. Copthorne is a wonderful primary school that has friendly staff and children. The children are very polite and well mannered, it is a pleasure working with them. I really like the atmosphere of the school because everyone is so welcoming and nice. I've been working at Copthorne Primary School since November 2015. It's a great school to work at, things are so well organised and health and safety measures are taken seriously. I really enjoy working here and with the people I work with. Children at Copthorne are well behaved, respectful and very polite. As part of the kitchen team, I always notice their good manners during lunchtime and teachers and lunchtime supervisors make sure everything runs in an orderly manner. I am very pleased to work here and would recommend the school. I joined Copthorne Primary in 2006. I love working here as I consider this as my second home. The amount of love and support I get from my staff and community is indescribable. We all care about each other and children in our school are really good and respectful towards adults. I love my job and I always try my level best to do it right and according to what is expected. The office staff are really friendly which is why I feel really comfortable working here. Our seniors are always helpful and everybody is happy. Hello my name is Iram Ahmed. I have been working at Copthorne Primary school as an apprentice since January 2017 in Saplings as a Nursery assistant. My role is to assist around the room with our supportive and reassuring team to help children learn in numerous ways in order for them to develop their skills and have a better understanding of when they move into nursery. I have now completed my level 2 in childcare and now working towards my level 3. I am glad to be part of a team that looks after the welfare of the children at Copthorne during lunchtime. I feel it is important for children to eat their lunch and have the support if they need it. I am able to interact well with the children through all the games and equipment that we have on offer. Copthorne is a wonderful place to work, my own child also attends Copthorne and she loves coming to school. My name is Joanne Rice and I am Personal Assistant to the Senior Leadership Team. 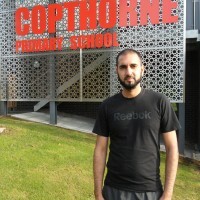 I have been working at Copthorne Primary School for over 16 years. I feel very proud to work amongst such a dedicated, caring and hardworking team. Copthorne is a very special place to work and I thoroughly enjoy coming to work every day, we are like one big family. The children are a pleasure to be around and are so eager to learn and take part in activities. Copthorne is a fantastic school. The children are friendly and helpful. I really enjoy working here with all the children and staff. My role involves playing with the children and supporting them in the dining hall to make sure they have a nice time over the lunch period. I feel we have a strong team of lunchtime supervisors and the children are kept busy and interested through all the activities we provide. I really enjoy working at Copthorne and have been with the school since 2012. I enjoy my role as lunchtime supervisor and I love working with children, talking and playing with them to give them an enjoyable experience during their free time over lunchtime. I have worked as a lunchtime supervisor since 2009 and all four of my children have attended Copthorne and I feel it is a very special school. Hello my name is Nicola Thorpe. I started working at Copthorne Primary school in September 2016 as the Deputy Manager of Saplings 2 year old provision. My role is to help run the room along with an amazing team and to provide our 2 year olds with opportunities to play, learn and develop in as many ways as possible. It is a pleasure to be part of such a great team; I enjoy working here and I’m grateful for the opportunity. Hello my name is Nikol Rainbank I am the Early Years Room Manager for Saplings, our 2 year old provision i also mentor the school apprentices, and organise the schools admissions for 2,3 and 4 year olds. This school has a warm and friendly atmosphere throughout where I am made to feel like part of the Copthorne family. I started at the school in May 2016 to help create and develop provision for 2 year olds. 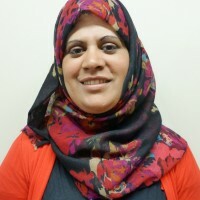 I have over 17 years of outstanding early year’s child care and education experience which has enabled me to support the development of an outstanding environment. I have been working at Copthorne for 9 years. Everyone is so friendly and helpful. Working at Copthorne has helped me to develop skills and learn new things. I have worked at Copthorne since 2006 and I enjoy my role as the senior lunchtime supervisor. I live within the community and enjoy leading the team of lunchtime supervisors to give the pupils at Copthorne a lovely experience over the lunchtime period. I feel Copthorne is a lovely school and you can tell that the children love their school too. I have been a lunchtime supervisor at Copthorne since 2000. All 5 of my own children have attended Copthorne and have now moved on to secondary schools and university. I have had a close bond with the school for a long time and enjoy being able to work with others as a team, to deliver an active and safe environment for the children. Paul leads the Exceed SCITT and Teaching Schools on behalf of Copthorne and Horton Grange primary schools. Paul facilitates support between schools, in Bradford and beyond, in order to train the next generation of teachers, to provide professional development for experienced teachers, and to establish leadership development programmes for governors and school leaders. Schools supporting each other to improve is an essential feature of the current education system: with our great teachers and leaders helping their peers from other school to enhance teaching, learning and leadership. I enjoy working at Copthorne because it is a friendly and safe working environment. It is a pleasure to serve the children on a daily basis as they are well behaved and well mannered. I really enjoy coming to work as I enjoy my job and have made a lot of friends over the years I have been at Copthorne. I enjoy working at Copthorne and have worked here since 2009. I love working with children and being able to talk and have discussions with them. I have had a close bond with the school since 1988 as a parent, I feel Copthorne has a strong community feel and always gives the best opportunities to all the children that attend. I have been working at Copthorne for more than 25 years. Staff and children are so friendly and helpful and it's a pleasure to be part of a supportive team. Hello my name is Sabah Nisa. I have been working at Copthorne Primary school as an apprentice since September 2017 in Saplings as a Nursery assistant. 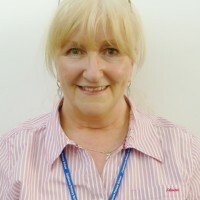 My role is to assist around the room with our supportive and reassuring team to help children learn in numerous ways in order for them to develop their skills and have a better understanding of when they move into nursery.I am now a Henry facilitator trainer for the school. I have now completed my level 2 in childcare and now working towards my level 3. I love working at Copthorne, the thing I enjoy the most is being able to play and interact with the children. Being able to help them and teach them how to eat their lunch and show them good table manners is very rewarding to me. I have been working at Copthorne since 2009 and look forward to making a positive difference to the children at Copthorne. I have been working at Copthorne Primary School for the last two years as a cook. I enjoy preparing and cooking different types of food each day to serve the friendly pupils of all ages including the staff! I have been a lunchtime supervisor since 2007 and I feel the school gives all its pupils the best education and I am proud to be part of the team at Copthorne. My role requires me to look after the children over lunchtime to ensure they enjoy their dinner and outdoor play. 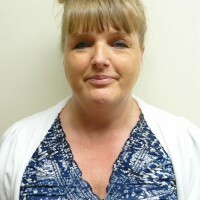 I enjoy working as part of a team and keeping up to date with safeguarding training to help support the safe environment at Copthorne. 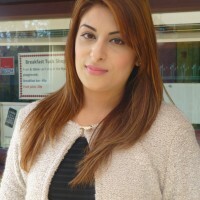 My name is Shabana Khan, I have worked at Copthorne since 2005. I love coming to work because there is a real family feel about the work place. We have a very strong, loving and dedicated team in the office, which makes it a pleasure to come to work every morning. Our management team and the rest of staff are equally as dedicated. I feel the children at Copthorne are very well behaved and very respectful, we also have very caring and supportive parents. Copthorne is in the heart of my own community where I grew up and all of my three children attended or are attending Copthorne. My role involves supporting children during lunchtime, inside and outside the school. I help children within the dinner hall and outside. The thing I enjoy the most about my job is being able to interact and support the children, seeing them go in confidence is very rewarding. My role involves supporting children during lunchtime, inside and outside the school. I help children within the dinner hall and outside. The thing I enjoy the most about my job is being able to interact and support the children - seeing them grow in confidence is very rewarding. I have worked at Copthorne since 2013 and live local to the school. The thing I like most about my role is helping children to build their confidence and being able to support their outdoor learning through interaction and play. I enjoy teaching cricket and I’m sure the lunchtime cricket training with me has helped the school’s cricket team win many awards and competitions. I like my role as lunchtime supervisor and have a good idea of safe guarding as part of my role is to ensure the school’s gates are supervised and the children are kept safe. I enjoy working with children and enjoy the working relationships I have with the adults at Copthorne. I work with children from Reception to Year 6 and I love being able to make lunchtimes a good experience for all the children. 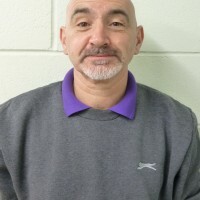 My name is Steve Bailey and I am the caretaker at Copthorne. I have worked here since March the 17th 2014, and have enjoyed every minute (seems longer!) The thing I like most is the friendliness of both the staff and the pupils. I feel proud when you hear visitors say what a great school this is. I enjoy my role as a lunchtime supervisor as I am key in making lunchtimes a pleasurable experience for the children. I live in the local community and have worked at Copthorne since 2005, all three of my children use to attend Copthorne and I feel that it is an amazing school. The reason I enjoy my job is because of the children, seeing them have a positive experience during lunchtime is very worthwhile.